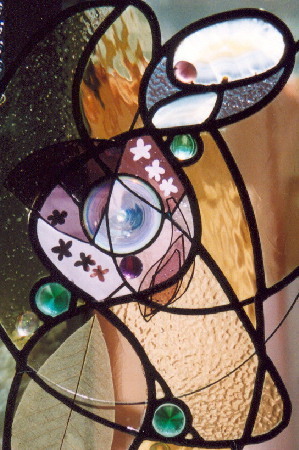 'Origins', stained glass panel with white antique roundel at centre. 3 Dimensional elements. 51x29cm max. 'Starflower', 30x30cmx10cm. Leaded stained glass. 'Eiffel Tower bottle', 30x30x10cm. 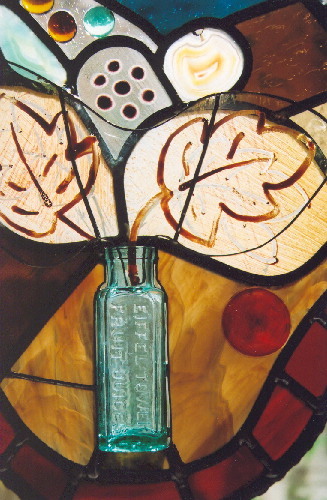 Leaded stained glass with antique glass bottle and 3D elements.